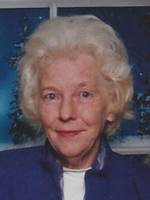 Bethel Hinkle McDaniel, 84, passed away on Tuesday, January 8, 2019 in Hampton. She was a native of Jefferson City, TN and had been a resident of the Peninsula for the past 58 years. She was a member of Parkview Baptist Church, where she also taught Sunday School. Bethel was preceded in death by her husband, Herman McDaniel Sr. She is survived by her daughters, Nancy Hughes and Wanda McDaniel; her sons, Herman Jr. and James McDaniel; brothers, Bernard, David and Eugene Hinkle; sisters, Agnes Shell, Roberta Evans, Juanita Spence; and many grandchildren and great-grandchildren. The family will receive friends from 6:00 – 7:00 pm on Monday, January 14, 2019 at Weymouth Funeral Home. Funeral Services will be conducted at 2:00 pm on Tuesday, January 15, 2019 at Weymouth Funeral Home with Interment to follow in Peninsula Memorial Park. In lieu of flowers, donations can be made to Parkview Baptist Church. Arrangements by Weymouth Funeral Home.